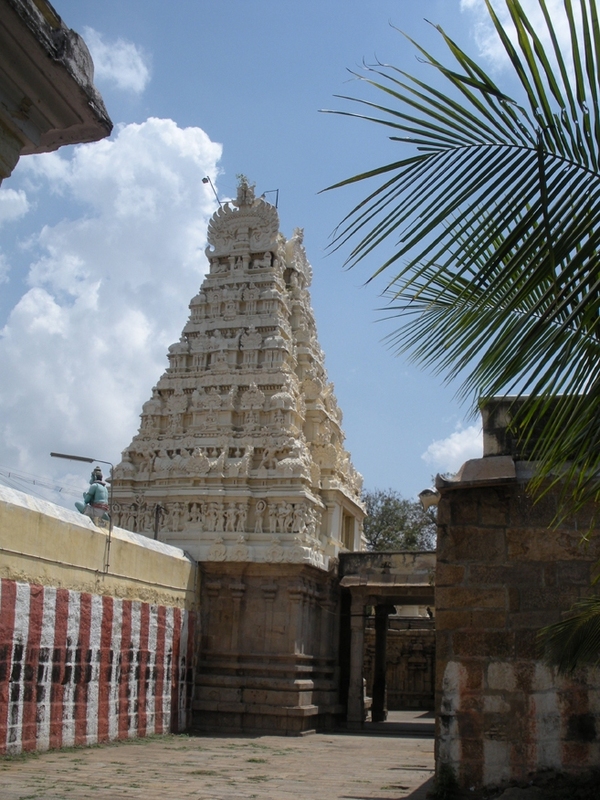 Azhagiya Manavalan Perumal Temple (also called Thirukozhi or Nachiyar Koil) in Woraiyur, a suburb Tiruchirappalli in the South Indian state of Tamil Nadu, is dedicated to the Hindu god Vishnu. Constructed in the Dravidian style of architecture, the temple is glorified in the Divya Prabandha, the early medieval Tamil canon of the Azhwar saints from the 6th - 9th centuries AD. It is one of the 108 Divyadesam dedicated to Vishnu, who is worshipped as Azhagiya Manavalan and his consort Lakshmi as Kamalavalli. Azhagiya Manavalan is believed to have appeared to Kamalavalli, the daughter of Chola king Nanda Cholan, in this place to marry her. Six daily rituals and three yearly festivals are held at the temple, of which the chariot festival, celebrated during the Tamil month of Chittirai (March - April), is the most prominent. There is no Utsavar found in this sthalam as Sri Ranganathar of Sri Rangam came here to marry Sri Lakshmi and the Utsavar of Sri Rangam is considered to be the Utsavar of this sthalam too. In this sthalam, Periya Pirattiyar is giving her seva in two different ways. One is Irundha seva and the other one is Kidantha seva. Combining these both sevas, she is giving seva as "Urayum" (from sitting seva to sleeping seva) seva, this temple is called "Thiru Urayoor". The Utsavam done here starts on Aayilya Nakshathiram in Panguni month lasts for 10 days.On the first day of Panguni Uthiram, Sri Ranganathar comes from Sri Rangam and stay in Urayoor. And on Panguni Uthiram, he marries Kamalavalli Naachiyar and give his Kalyana Kola Seva to his Bhakthas. 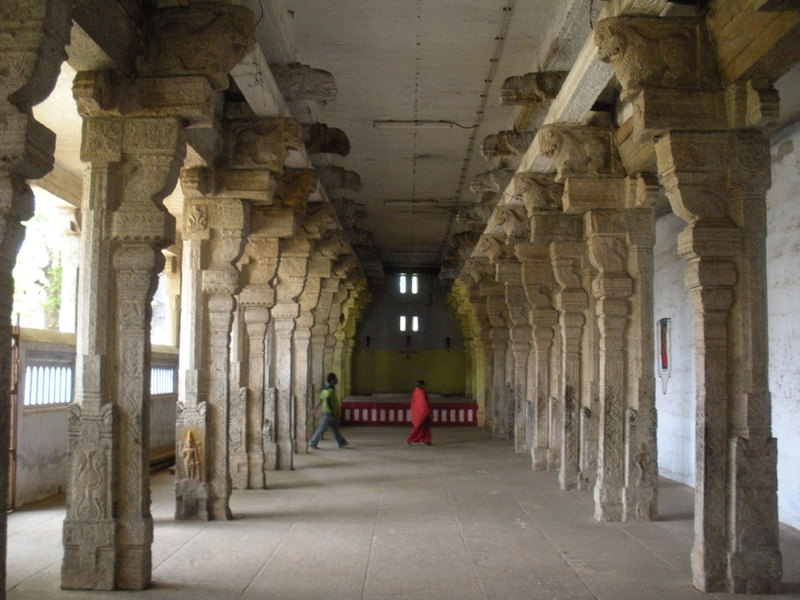 The temple is believed to have been built by the Medieval Cholas of the late 8th century AD, with later contributions from later Pandyas,Vijayanagar kings and Madurai Nayaks. A granite wall surrounds the temple, enclosing all its shrines and bodies of water. 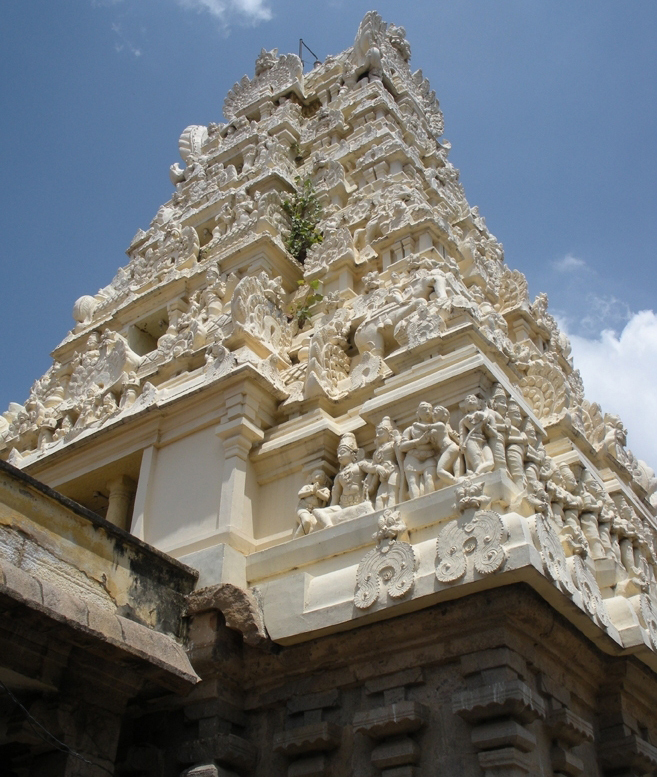 The temple has a 5-tiered rajagopuram, the temple's gateway tower. Avathara Sthalam of Sri Thiruppaanazhwar, Nakshathiram, Kaarthigai, Rohini 11 days Utsavam is perform in a grand manner. Apart from this 11 days Avathaara Uthsavam for Sri Thiruppaanaazhwar, Sri Azhwar will have Thirumanjanam and Kannadi Arai Sevai on every month rohini.Kalyana Utsavam which is done during Panguni Utthiram. 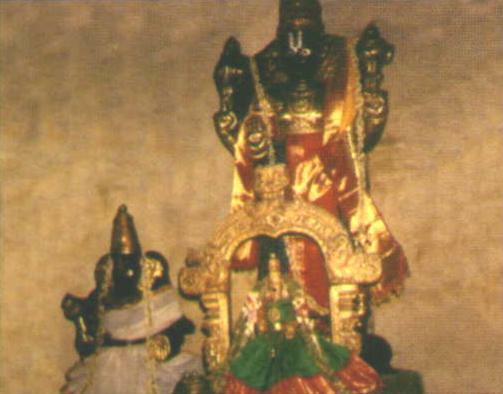 The central shrine has the image of Azhagiya Perumal in sitting posture. There are paintings on the inner walls of the shrine of Nammalvar. The temples were painted during the early 1800s and has images of Matsa and Narasimha avatars of Vishnu, Vaishnava Acharyas, Azhwars, Vaishnavite mythology, the law of justice and dharma as enunciated by Ambarisha. Tirucherai Saranathan Temple, Thiruvarur, Tamil Na..